One of the awful Renault S56 'bread vans' which saw of many of the proper buses back in 1986. 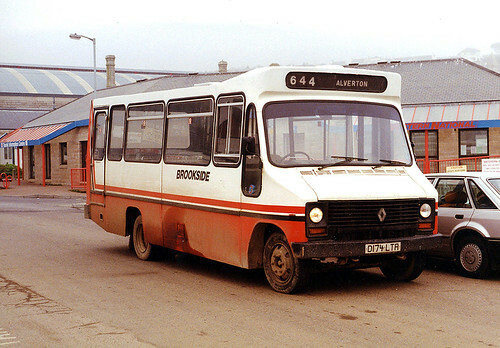 D174LTA later passed to Brookside Travel in Penzance where Ken Baker caught it on camera. Some time after this Brookside were taken over by Western National and this bus then became part of that fleet - although I am sure it never actually ran for them. I assume it was scrapped shortly afterwards. At least I hope so!